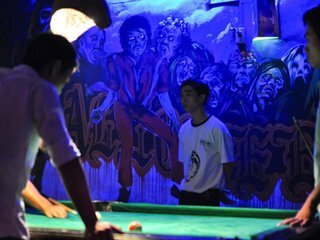 Hue may be many things, but a hotspot for nightlife it is not. If you’ve come into town looking for booming clubs all night extravaganzas, you may be disappointed. Still, there are enough venues to satiate your inner party animal, provided you have it on a more restrained leash. The two late nightspots are Why Not? and DMZ, bars that cater primarily to the backpacker crowd. For drink specials, Western music, young travellers and a bit of ruckus, these are the places to be. More relaxed revelers can find sophisticated cocktails with a view at the Imperial Hotel’s rooftop bar, a perfect point for a bird’s eye view with a twist of lime. 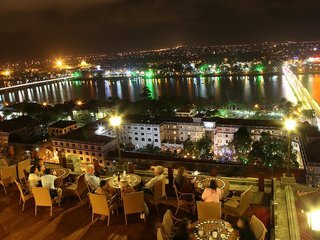 Also try similar spots at the Mercure Hue Gerbera and the Celadon Palace, the latter sporting a healthy mixture of sophisticates and thrill seekers at its weekend parties. While visiting a peaceful city brimming with tradition, the best way to relax is to follow the locals’ lead and enjoy a cup of tea at the river’s edge. Visit Vy Da Xua, a waterfront venue that serves royal tea in an elegant setting. It may lack the excitement of its larger neighbors, but there is plenty to drink in.